The following is a submission received by Seraph IX Basarab. 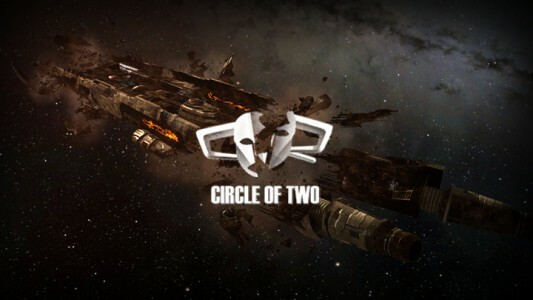 His connection to and position of diplomat inside of Circle of Two alongside gives a unique perspective of the Judge and his motivations during his recent betrayal of Gigx and the members of Co2. This is an opinion piece and as such represents the views of the writer only. My first interaction with The Judge was in late 2015 during the early phase of World War Bee. I began speaking with Circle-of-Two’s head diplomat at the time, Da Winci, and our discussion would eventually conclude with the defection of Co2 and, subsequently, the collapse of any serious Imperium resistance to the invading MBC forces. I have covered the World War Bee events, in depth, elsewhere. However, in light of recent events I wanted to also take a look at Judge’s role then to shed some light on the man and what really drives him. As far as the negotiations for Co2’s defection during WWB, The Judge was a witness to a handful of meetings with most of the negotiating actually happening via text chat that can be explored here. 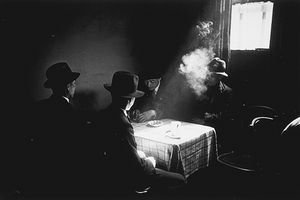 The negotiations and agreements were handled by Da Winci who agreed to the defection. Despite this, The Judge, who had no significant role or impact on the negotiations, was all too happy to be the one to act as the public face and post Da Winci’s words. 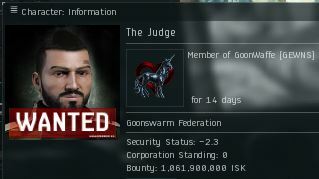 However after the Circle of Two defection was decided and shortly before the announcement was actually made, The Judge tried to solicit ISK from me, I-Want-ISK and Lenny. Even prior to this event, Judge would constantly talk to me punctuating every exchange with a friendly smiling emoji and asking me to put in a good word for him to IWI and Lenny so that he too could become a banker. This is ironic now that Judge has become such a celebrity within Goon circles. Months passed and my own alliance at the time, Psychotic Tendencies, began to crumble and my corp joined Co2 in mid/late 2016. By the time we had joined, Da Winci who had been co-CEO/Head Diplomat, had a disagreement with CEO Gigx, and left the alliance. This left The Judge as the “Head Diplomat” and in a position of trust he began to advise Gigx to go in one direction while sowing discontent and malice amongst Co2s allies. Soon after my corp joined, I was offered a diplo position because “nothing was getting done” under the leadership of The Judge. In an attempt to be as useful as possible to my new alliance I reached out to Judge and asked what I could do. Rather than the ‘friendly smiley face emoji posting bud’ I had dealt with in the past he was distant, spiteful, petty, and obviously embittered. He saw my addition to the diplo team as either infringing on his turf or a demotion of sorts. Where I genuinely wanted to help he wanted to hold on tightly to his little kingdom despite the rapidly deteriorating diplomatic situation that Co2 found itself in. Furthermore, The Judge was not concerned with the developments of the conflict between us and Panfam, but instead was trying to figure out how to ‘keep his power’ and get “his money” from Gigx. 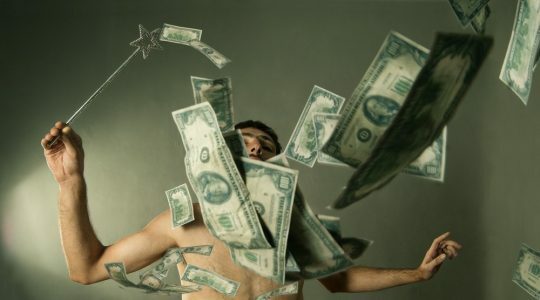 Specifically, The Judge had invested money in Co2’s Keepstar. Similarly, instead of being the alliance diplomat and working to save our relationship with entities such as Mercenary Coalition, The Judge’s main concerns were his personal wealth. This stands in stark contrast with Gigx who liquidated his own characters,sold his titans, and emptied his wallets to generate the ISK to pay for his alliance member’s SRP. It became even worse as when he wasn’t hounding the alliance for “his ISK” (during the middle of a war) he was chumming it up with Mercenary Coalition members and publicly mocking Co2 and Gigx. I did my best to try to patch things up between the two and when Gigx remarked that he wanted to kick The Judge, I mistakenly intervened thinking his loss and the fallout would be too great. How wrong I was. When Judge wasn’t kicking me from discord over frivolous imagined issues and as our diplomatic situations grew even more dire he was nowhere to be found. My corp stayed with Co2 until the conflict in Tribute was over and the alliance could stand on its own. After the departure I kept in touch with my Circle of Two brothers. I became increasingly worried when I had heard that The Judge took up managing Co2’s rental alliance and despite his claims to try and stop the conflict it was The Judge who pushed for the conflict with the DRF in order to gain more renter space. Perhaps I’m wondering why a man clearly not interested in the wellbeing of the alliance was so adamant about expanding its rental borders and then I realized it meant he would have access to more ISK revenue that he could eventually skim and steal. If you’ve noticed, I haven’t made any criticism in regards to Judge’s betrayal in terms of morals and ethics because quite frankly that doesn’t mean very much in Eve. It’s part of the game and there’s nothing to criticize on that level. What I will say is that Judge was an ineffective member of Co2’s leadership who used his position to propel himself as a CSM and to enrich himself. There was no “master planning” and certainly no respect gained. His history shows that he was driven by greed, desire for power, and petty jealousy. His assertions that he did so for the well being of the C02 line members who suffered under a tyrant (Gigx) is laughable when, in reality, the people he hurt the worst were those very line members who he betrayed as he has cost them trillions in ISK now that they will need to recover their assets from ‘asset safety.’ Switching sides can be done for a wide range of reasons, and sometimes it can be done for ‘the greater good’ but in The Judge’s case it was only done for his personal enrichment. I think it is worth noting that he secured his ‘deal’ and defection while attending a CSM Summit. The only reason he was there was to represent the members of C02 whose votes sent him there. He was voted into that position because he was trusted to be the best voice for his constituents and instead used it to get a free trip to Iceland where he promptly betrayed, humiliated, stole from, and ultimately caused significant financial damage to those who trusted him. There is a word for that and it surely is not hero. It is Traitor. To understand what I mean we need to contrast Da Winci and Co2’s “defection” vs The Judge being “flipped.” When Da Winci and I spoke, we did so as equals looking for a mutual interest that not only served our own gain, but also helped our respective alliances as a whole. Co2 had taken the brunt of the MBC invasion forces while the rest of the Imperium hid in Saranen. I have never spoke about “flipping” Da Winci as the term itself implies trickery and manipulation. What we did was use diplomacy to ensure the best possible outcome for the line members of Co2 and the success of the MBC. Goons are bragging about flipping The Judge like a burger, and man-handling him like a pawn to be used for their sole benefit and revenge. There’s no mutual respect, just manipulation. The Judge will never be respected as he proved that during World War Bee he was willing to work against Goon interests one moment when it seemed like he could get money, or to influence his members to get CSM votes, and after he got what he wanted from C02 he then actively worked against the interests of his own alliance when he found a new way to profit off those who had vested him with trust. Goons will parade him around like a trophy for some time to come, but when the party lights die out and reality sets in, he will have zero credibility, and no one who will ever trust him again. Even a Judge can be judged.